Mean Machine cycle parts specializes in building full custom motorcycles and offers some of the hottest parts for you motorcycle. We have teamed up with the best manufacturers in the business to provide to you the full spectrum of high end custom accessories. We can assure you that they are designed and built with the best materials and chromed by the best in the industry. In 2010 when owner, Robb Boggs designed and built his own one-off parts for his bike, people quickly took notice and wanted to buy the same parts for their own bikes. 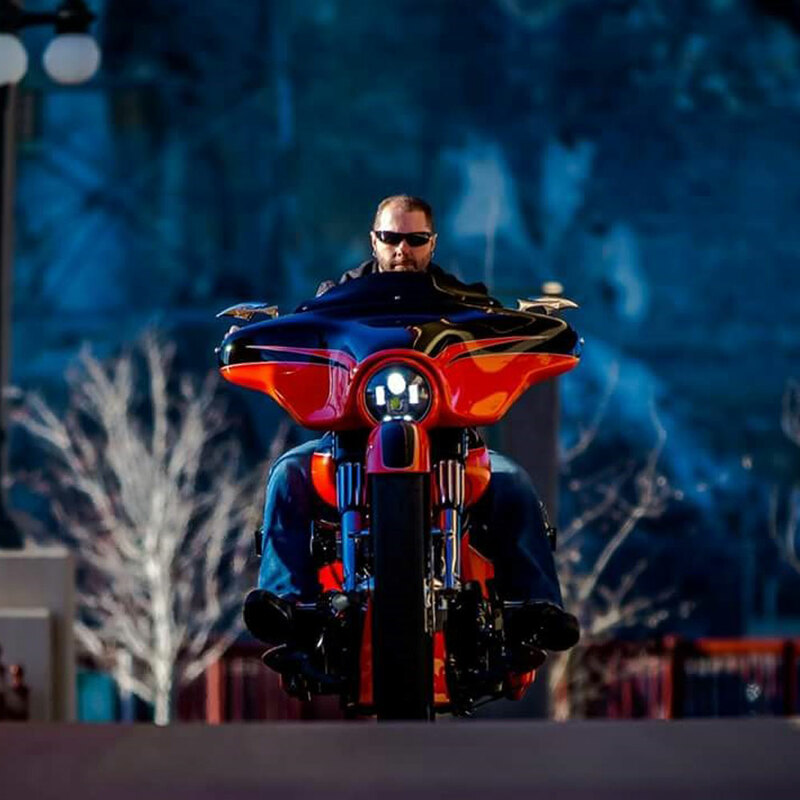 One thing led to another, and now, Robb has built several award winning custom bikes and currently owns a full custom 2008 Harley StreetGlide. He has over 20 years of professional experience in the design engineering industry and over 10 years experience in the custom motorcycle industry. He takes pride in the bikes he builds and the products he uses. The parts he sells are the same parts that go on his bikes. If it’s not good enough for him, it’s not good enough for you.